Please read 2 Timothy 2:1-26. In 2 Timothy 2:1, the servant of the LORD is exhorted to be strong in the Grace that is in Christ Jesus. In 2 Timothy 2:3, the servant of the LORD is exhorted to endure hardness as a good soldier of Jesus Christ. 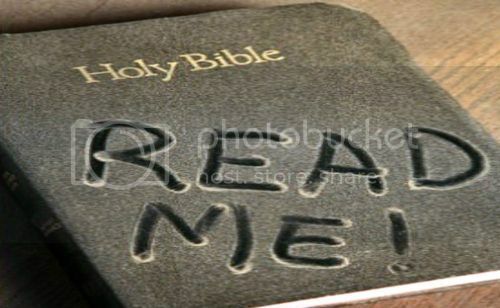 In 2 Timothy 2:15, the servant of the LORD is expected to study to show himself/herself approved unto God and rightly divide the Word of truth. In 2 Timothy 2:19, the servant of the LORD is exhorted to depart from iniquity. In 2 Timothy 4:2-5, the servant of the LORD is told to preach the Word and to do the work of an evangelist. If the servant of the LORD will faithfully obey these exhortations, he or she, will be a vessel unto honor, sanctified and meet for the Master’s use, prepared unto every good work. 2 Timothy 2:21. 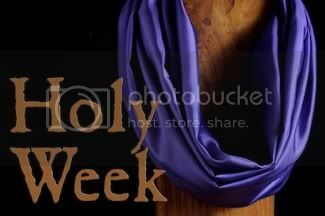 Every Member of the Body of Christ is a Vessel in a House...a Great House. 2 Timothy 2:20. It is BEYOND human imagination what the Body of Christ, as the pillar and ground of the truth, could do, if members of that Church would be strong in the Grace that is in Christ Jesus, if they would endure hardness as good soldiers of Jesus Christ, if they would rightly divide the Word of truth, if they would depart from iniquity. Surely every Christian should desire to be a vessel of honor in this great House, sanc­tified and easily used for the LORD Jesus Christ, Who said, “if any man serve Me, him will My Father honor.” John 12:26. We read concerning Christ as the Chief Corner Stone in this great House, “In Whom all the Building fitly framed (joined) together groweth unto an Holy Temple in the LORD. In Whom ye also are builded together for a hab­itation of God through the Spirit.” Ephesians 2:21-22. “The Household of God.” Ephesians 2:20. What an honor to be in this Household, this Temple, this Building! To be “in Christ” in this Age of Grace, means to be a member of God’s Family, a child of God, an heir of God and a joint heir with Christ. Romans 8:15-16. So stop your belly aching, whatever it may be, and LOOK at what you have in Christ! It is possible to be saved so as by fire and not be a vessel of honor in this great House, sanctified and meet for the Master’s use. 1 Corinthians 3:15. But why not have the very best that God has for us? If you feel that you have been a failure and consider your case about hopeless, read Jeremiah’s visit to the potter’s house in Jeremiah 18:1-6 and see how God’s prophet saw the potter “remake” the marred vessel. THEN read God’s word; that He could do the same with a marred sinner. God is the Great Potter. We are the vessels. If you are a sinner, let God save you, by His Grace and His Son. If you are a saint, a member of the Body of Christ, let God use you. “Purge yourself from these.” Be a vessel of honour in God’s Great House. Remember 1 Corinthians 15:58 and 1 Corinthians 3:13-15. Our God, THE God, the ONLY God, is a Great God. He gives eternal life to receivers. Then He pays well for service. Ah, but do not be deceived. Satan was no less active in his opposition to the truth when Constantine exalted the professing Church to prominence than when his predecessors persecuted the Church and sent its members to death by fire and sword. Indeed, Satan, was doubtless, more successful in Constantine's day than he had been when persecution raged. Today Satan uses the new evangelicalism with its highly- organized highly-financed campaigns, and its woeful lack of doctrinal and dispensational teaching of the Word...to neutralize the saints. Now, it is of the utmost importance, in your study of the Bible, that you all become fully aware and learn of this very important fact...The Fact that from the first chapter of Matthew to the last chapter of Revelation 5, FIVE, different groups or classes of people are addressed. 5) To those who were of full age, called "the faithful in Christ Jesus." The words of the Lord Jesus, in Matthew 15:24 and Matthew 10:5-8, should be self explanatory. Christ definitely declared that He Himself was sent ONLY to the lost sheep of the House of Israel, and instructed the twelve apostles, just as definitely, to go NOT in the way of the Gentiles; but rather to the lost sheep of the House of Israel. The LORD Jesus Christ, was sent to Israel with a two-fold message; that is, to present "the Kingdom of Heaven" to the Nation with its rulers, and to offer salvation to individual Israelites. In Matthew 8:12, Christ called the Israelites, both saved AND unsaved, "the children of the kingdom." In John 8:37 He said to the unsaved Israelites, "ye are the seed of Abraham." 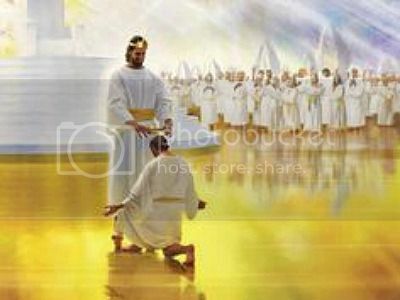 In Acts 3:25 Peter addressed the unsaved Israelites as "the children of the covenant." In Luke 1:16 and Luke 1:80 we read that John the Baptist appeared to Israel. In John 1:31 we read that John the Baptist baptized with water THAT Christ might be made manifest to Israel, (NOW you know why baptism was introduced, but this has NOTHING to do with the Body of Christ). In Acts 11:1-8 we learn that some of the twelve apostles contended with Peter because he preached to an uncircumcised Gentile, about seven years after Christ died. From all of this and many other Scriptures, we should know the significance of the statement, in Romans 15:8, that Jesus Christ was a Minister of the Circumcision, and should know that, from Matthew 1:1 to Acts 11:18, God's order was "to the Jew only." However, in Acts 11:18 we read that God did something for the Gentiles. Some of the messages in Matthew, Mark, Luke, John and Acts, were addressed to unsaved Israelites, or Jews, and some of them were addressed to saved Israelites or Jews. Surely we must consider this if we would intelligently interpret and apply these Scriptures, right? For, if we don't we will just continue in the confusion that has resulted in all of the denominations of today. In Galatians 1:11-18 we learn that the Apostle Paul was chosen by the Risen Christ, by a special revelation from heaven, to preach the Grace of Christ to heathen. The Apostle Paul tells us of his call to go to the Gentiles, in Acts 22:17-21, and Romans 15:16. In many respects the Gospel of Grace message that Paul proclaimed to Gentiles, not under the Law, differed from the Gospel of the Kingdom messages that Christ and the Twelve proclaimed to saved and unsaved Israelites. 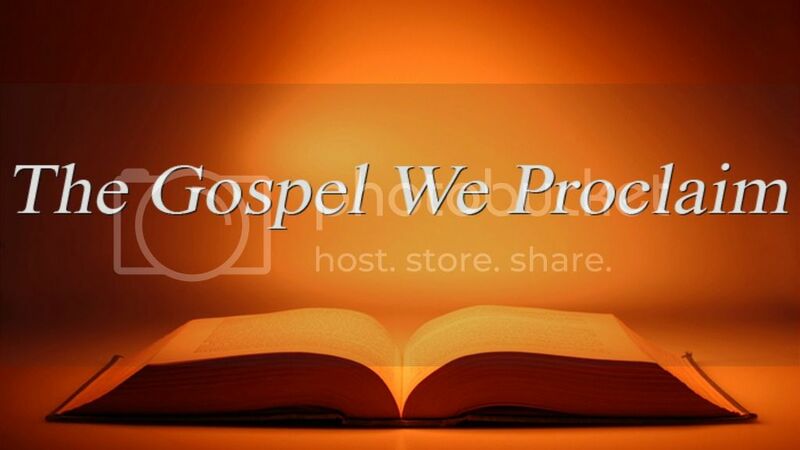 Therefore, to preach many of the messages of Matthew, Mark, Luke and the first nine chapters of Acts to the Gentiles not under the law, is to pervert God's Gospel of Grace to Gentiles. In applying the truth of Matthew, Mark and Luke, and the truth in the first nine chapters of Acts to Gentiles, whether saved or unsaved, we must keep in mind the particular group of people that is addressed in the Scriptures we are studying. Many messages which the LORD's servants proclaimed to backslidden Israel are not intended by God to be included in the salvation message of Christ for Gentiles, not under the Law. We should keep in mind the statements, concerning these Gentiles, in many different verses, for instance read the second chapter of Ephesians, as well as Ephesians 4:18. In these verses we learn that the Gentiles, to whom the Apostle Paul preached the Gospel of the Grace of God, were strangers from the covenants, aliens from the commonwealth of Israel, alienated from the life of God, and dead in trespasses and sins. Surely any preacher who preaches to such people, "bring forth meat for repentance," the message which the LORD gave to John the Baptist for Israel, is out of the will of God. A dead man alienated from the life of God, could not bring forth fruit. But he could be made alive without doing anything. Ephesians 2:4-8. Romans 6:23. Ok, so, so far we have dealt with the first three classes of people...unsaved Israelites who were under the Law, saved Israelites who were under the Law before they became members of the Body of Christ, and unsaved Gentiles who were aliens from the Commonwealth of Israel, and not under the Law. Now, here are the fourth and the fifth classes. "I have fed you with milk, and not with meat; for hitherto ye were not able to hear it, neither yet now are ye able. For ye are yet carnal; for whereas there is among you envying, and strife, and divisions, are ye not carnal, and walk as men?" "Paul, an apostle of Jesus Christ by the will of God, to the saints which are at Ephesus, and to the faithful in Christ Jesus." And, "Till we all come in the unity of the faith, and of the knowledge of the Son of God, unto a perfect man, unto the measure of the stature of the fullness of Christ, That we henceforth be no more children, tossed to and fro, and carried about with every wind of doctrine, by the sleight of men, and cunning craftiness, whereby they lie in wait to deceive." "For when for the time ye ought to be teachers, ye have need that one teach you again which be the first principles of the oracles of God; and are become such as have need of milk, and not of strong meat. For every one that useth milk is unskillful in the Word of righteousness; for he is a babe. But strong meat belongeth to them that are of full age, even those who by reason of use have their sense exercised to discern both good and evil." Here in this portion of scripture we are told of the two classes, within the Body of Christ: members of the Body of Christ who could take only the milk of the Word, God's truth for babes; and those who were of full age who could understand the deep things or the meat of God's Word. In 1 Peter 2:2 we learn that the new born babes should have the milk of the Word. Note this verse, "As newborn babes, desire the sincere milk of the word, that ye may grow thereby." Now, you must keep in mind at all times, the saints in Corinth were just as much saints as were the saints in Ephesus. The difference was, the saints at Corinth were carnal and unable to take the strong meat which we find in the Apostle Paul's messages to the Ephesians and Colossians. Of course the "full-age" saints will feed on the milk as well as on the meat. But strong meat belongeth to saints of full age and carnal saints must limit themselves to a milk diet. A love for religion, ritualism, or sectarianism (denominations), will keep a saint carnal just as much as a love of the world. Read that sentence over and over again. The Corinthians were sectarians. The Ephesians and Colossians accepted the Divine Truth of Ephesians 4:3-6 concerning the One Body, the One Lord, and the ONE BAPTISM. Let us carefully note God’s warnings, “O Timothy, keep that which is committed to thy trust, avoiding profane and vain babblings, and oppositions of science falsely so called.” 1 Timothy 6:20. The modern theory of evolution, of course, denies the Bible account of the fall of man and, of course, has much to say about "the ascent of man". However, evolution fails to account for, and actually criminally evades, that which lies at the very root of all man's troubles: SIN. The theory of evolution preaches that man is improving in all ways, but then fails to explain adequately why man finds himself weak, poor, miserable, distressed, corrupt, perishing, and it fails to explain why he is so utterly helpless to lift himself from this state. Not only that, but it fails to explain his inherent sense of blameworthiness; but instead insists he has no cause for a "guilt complex." 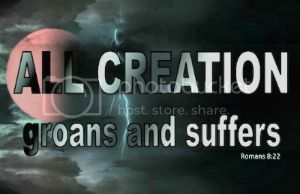 "For we know that the whole creation groaneth and travaileth in pain together until now" (Romans 8:22). Where Evolution leads mankind, can be seen in our day. If man is not made in the image of God, but is only a developed brute, why should he not, as a brute, be killed? Lust and thrill murders are the result of the likes of a Friedrich Nietzsche, who wanted all the weak to be crushed and the superman, the blond beast, to be adored. Nietzsche was a consistent Evolutionist. The struggle for life was with him was simply a dutiful struggle for power. According to this theory Christianity must be destroyed; for numerically and financially, that is the weaker party. According to this cruel theory, euthanasia is perfectly justifiable, because there is no wrong in softly ending the miseries of a highly developed animal. Again, Nudism is just the right thing, for nakedness goes with the beasts of the jungle. Do you not see how Evolution has leavened the nations in our day? Man was originally created in the image and likeness of the eternal, living, personal Creator. Man did not evolve from some lower order of life. Every theory of evolution has been disproved. At the present time there is not one scientific proof of any evolutionary hypothesis that is being taught in our schools. Improvement of the species is not an evolutionary change of species. Methods of planting corn may change, but the seed corn is the only seed that will bring forth corn. Every man feels within himself or herself a disorder, a positive dislocation of things, which science, and, certainly the theory of evolution, is utterly unable to explain. Only the Bible account of the fall of man explains it and shows how all man's trouble and distress arise from his OWN nature, which is fallen and corrupt. "BY ONE MAN SIN ENTERED INTO THE WORLD, AND DEATH BY SIN; AND SO DEATH PASSED UPON ALL MEN, FOR THAT ALL HAVE SINNED" (Romans 5:12). It is most important, for those who have not yet come to the saving knowledge of the LORD Jesus Christ, to learn this lesson; to learn that it is not merely our sins, but our SIN that makes us unfit for the presence of God; not merely our deeds but our nature; not merely what we have done, but what we would do because we are essentially sinful as the children of Adam. How profoundly grateful we should be, then, that God loves us despite our sins and our sinful natures, and that, "God commendeth His love toward us, in that, while we were yet sinners, Christ died for us" (Romans 5:8). "In whom we have redemption, through His blood, the forgiveness of sins, according to the riches of His Grace" (Ephesians 1:7). "For I delivered unto you first of all that which I also received, how that CHRIST DIED FOR OUR SINS according to the Scriptures, and THAT HE WAS BURIED, and THAT HE ROSE AGAIN THE THIRD DAY according to the Scriptures" 1 Corinthians 15:3-4. There were WITNESSES of the Resurrection of Christ, to that there is no doubt. AND in the following passage from 1 Corinthians 15, the Apostle Paul CITES Peter and the eleven apostles who saw the LORD after His resurrection, and then he further states, "After that, He was seen of more than FIVE HUNDRED brethren at once. He was seen of James; then of all the apostles. And last of all, He was seen of me also as one born out of due time" 1 Corinthians 15:5-8. That Christ was "raised again the third day" is of the UTMOST importance because it is the receipt from God, Himself, that our sins have been paid in full, signed in His own blood, as it were. Death and Hades could not keep the Son of God in its icy grip. Unlike you and me, the LORD Jesus Christ had no sin, He is "holy, harmless, undefiled, [and] separate from sinners" Hebrews 7:26...and possessing "the spirit of holiness" God "declared [Him] to be the Son of God with power by the resurrection from the dead" (Romans 1:4). Pay very close attention...The Father raised Christ from the dead. Galatians 1:1. The Holy Spirit raised Christ from the dead. 1 Peter 1:18. The LORD Jesus Christ raised HIMSELF from the dead. John 10:18. In the resurrection of Christ, God shows "what is the exceeding greatness of His power to usward who believe". Ephesians 1:19. Now, another important point...Christ's appearance to Paul was VERY different than His appearances had been unto all those other saints. 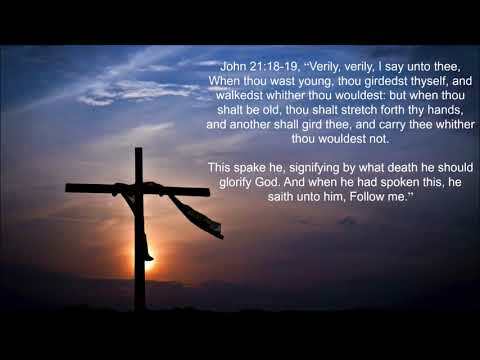 The Apostle Paul saw the RISEN, EXALTED, and GLORIFIED, LORD JESUS CHRIST in the glory of His Grace. Listen to Paul's own testimony, "And when I could not see for the Glory of that Light, being led by the hand of them that were with me, I came into Damascus. And one Ananias said, The God of our fathers hath chosen thee, that thou shouldest know His will, AND SEE THAT JUST ONE, and shouldest hear the voice of His mouth" Acts 22:11-14. So in the Apostle Paul's Gospel when he focuses upon the "crucified" One, 1 Corinthains 1:23, he proclaims "Jesus Christ according to the Revelation of the Mystery" (Romans 16:25). In our endeavors, therefore, to keep our congregations informed of the death, burial and resurrection of Jesus Christ may we NEVER forget that we "who sometimes were far off are made nigh by the BLOOD of Christ". Ephesians 2:13. What love, and what Grace, that should compel our worship, our praise, and our adoration of our wonderful LORD and Savior Jesus Christ. And it all begins at Calvary. "We must all appear before the Judgment Seat of Christ; that every one may receive the things done in his body, according to that he hath done, whether it be good or bad. Knowing therefore the terror of the Lord, we persuade men"